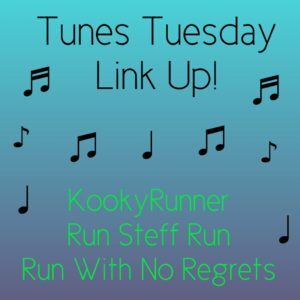 It's my first time linking up for Tunes Tuesday with Kim, Steff, and Janelle for real (I linked up once before with just an IG pic). I've been listening to music a bit more on my runs, but the music on my phone has gotten a bit stale. I needed to mix it up. On the 4th Tuesday of each month, the Tunes Tuesday topic is Current Favorite Music. I'm loving so many new songs this year! I think artists are really bringing their A game right now, and it makes my commute so much more enjoyable. Here is a playlist of my Top 10 Songs of 2017 (so far). Enjoy! 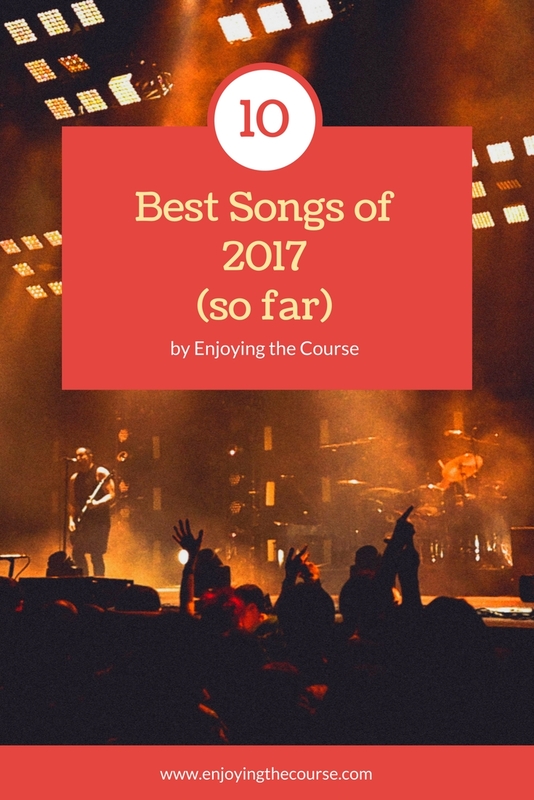 @EnjoytheCourse shares her Top 10 Songs of 2017 (so far). What's your favorite? They may or may not be good for running. ;-) I'm testing it out for the first time this morning! What do you think? Will this be a good playlist for running? Stay tuned to Twitter and IG to see what I thought. If you use Spotify, feel free to follow me - Clarinda Dodson - or leave your name in the comments, so I can follow you. Also, please share any Spotify tips & tricks with this newbie. Don't forget to head over to our hosts to see what music everyone else is currently loving! That's a great collection! I'm so bad with current music that I get so much from this link up to stay up to date! Thanks for linking up! I'm kinda bad about current music, too, but so many good songs are coming out right now that are catching my ear during my commutes. Loving it! I think that is a really good collection - I really like the Train and Marroon 5 in particular. Thanks, Abby! I feel like there are a lot of comebacks this year (and maybe last year). Or am I a little crazy? Looks like a great running playlist to me! Having a teen and a tween in the house keep me up to date. Haha! I agree! It's been fun so far. Great playlist! I have that Ed Sheeran song on mine now too. Does he ever make a bad song? I'll follow you on Spotify and you can follow me back! Yes, please follow me and I'll follow back. Thanks for linking up with us!! Getting Spotify Premium has totally changed my life - they have a lot of playlists to choose from, the possibilities are endless! I'm excited to discover some new music. And then play it over and over over again. Ha! Thanks for linking up with us! I love all of the songs that you selected. I don't use Spotify but I do listen to Pandora when I'm at work. Great tunes can make for a great day or workout for sure!!! I've wondered about Spotify, let us know if you think it's worth it! Ha! Thanks, Kristy. :) Music can definitely help pump up the day. So far, I'm really enjoying Spotify, but I'll have more updates throughout the year (I have another playlist coming up on Tuesday).